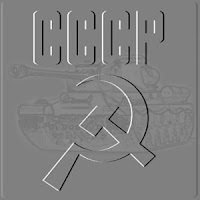 THE PASSAGE OF TIME: INCOMING CCCP TANK! Received notification yesterday that I got an incoming CCCP Vostok Komandirskie Tank! I am rather excited about it because it is By Order of the Ministry of Defense of the Union of Soviet Socialist Republic. 3AKA3 MO CCCP! Is it really real tank. Got pics of the tank? Will post pictures when it arrives. I love the Vostoks; they're a great way to have a lot of fun with vintage mechanicals on a small budget, even if the "military" connection is somewhat tenuous. I've been meaning to add a 3AKA3 to my collection, perhaps I should start trying a little harder now. Ryan, I would say whenever I try to seek out 3AKA3 watches on my own or on Ebay I usually find poorly conditioned ones and often priced unreasonably high too. But my latest two pieces of 3AKA3 are from fellow WISes who responded to my WTB posting on WUS forum. They are in NOS or mint condition and coming from fellow WIS, very reasonably priced. I enjoy most of your articles,the articles are so nice for readers. you can buy my watches here www.luxuryrolex.co.